Mom started with this photo of Echo and Ocean that she had already used for my Facebook page and added a reflection in Photoshop Elements. She increased the canvass size and added a new layer to add the black frame. Then it took a trip to piZap to add the border. 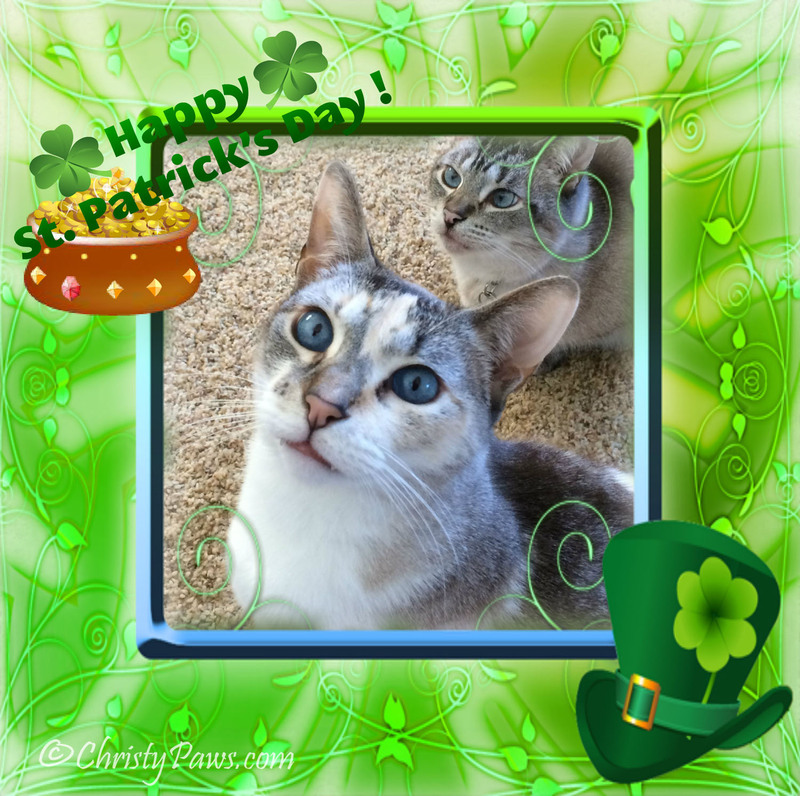 I wanted some time on MY blog too so mom created this quick St. Patrick’s Day card for me in piZap. Wishing you a pot of gold! What a cool foto of Ocean an Echo….. Boy oh boy do you all know how to hang out and have a nice lazy Caturday. 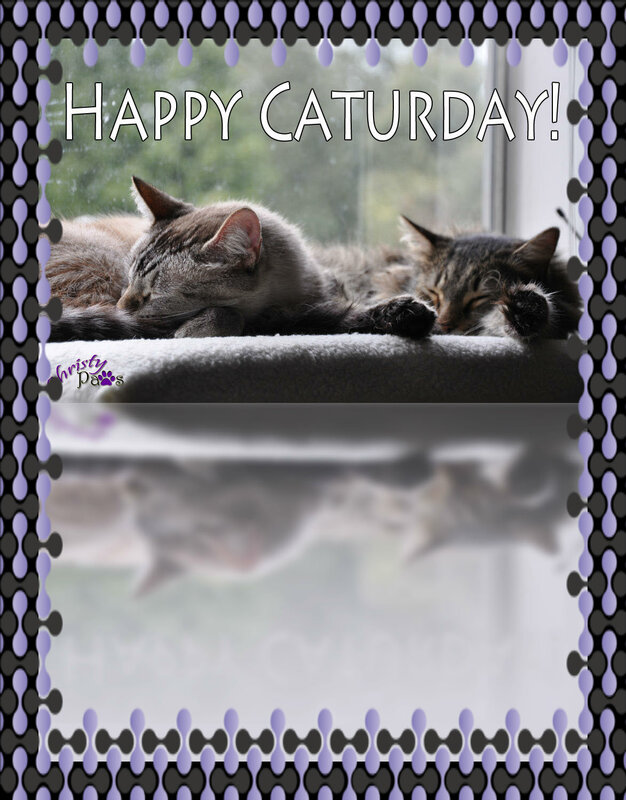 Mom is working on your Tabby Cat Club membership and hope to have it to you tomorrow. I like both your art but I think somebuddy is photo bombing your pic. Yeah, mom should have blotted him out, huh? Absolutely beautiful….all of you. The first frame reminds me of teeth. Your frame, Christy, does set off your blue eyes. Both of your images are FAB!!! Those awe all gweat fotos. Happy St. Pat’s day to yous too gawjus.